You have probably heard the phrase “dress for success” a few times, but not everyone adheres to it. What needs to be remembered is that your clothes and appearance basically market you. It might be marketing you to a potential employer, your coworkers and/or clients, and everyone you see throughout the day. We probably shouldn’t be judged by what we wear, but the reality is that we are. For this reason, you should always make the effort to dress like a smart, sophisticated, successful human. Every day we see those people who take shortcuts with their appearance… either to save time or maybe just because they don’t really care how they look. If you have questions regarding how you dress and look, always stick with conservative. This is the safest route. If you over or underdress, it can send the wrong impression. Let’s take a quick peek at how you can dress for success. 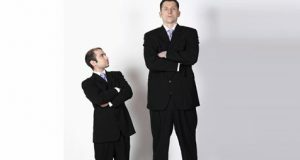 The standard working attire for men tends to be a conservative grey or dark navy two-piece business suit. This can be made from natural fibers such as wool. With it, you would wear a long sleeved white button-down dress shirt with a conservative tie made from silk. 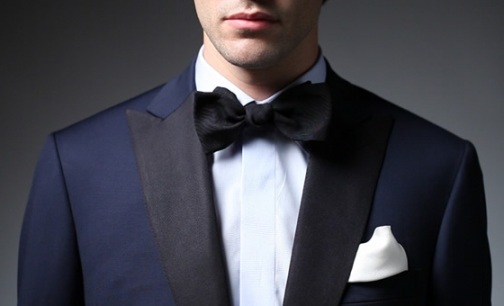 The tie should be chosen to match the colors of your suit. You will also wear dress shoes that are also conservative. 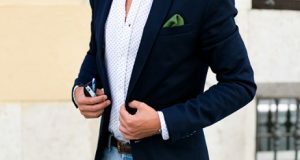 If you don’t happen to have a suit, or if the company you work for tends to be a bit less formal, you should at least wear something like a sports coat that is conservative (meaning no wild patterns or plaids and in a dark color), dress slacks that have been ironed, and a long sleeve button down white dress shirt (it is easier than you might think to find the best performance dress shirt), a silk tie that matches your ensemble, and dress shoes that have been polished. 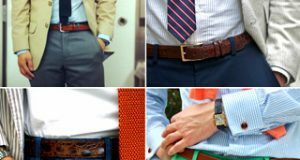 When it comes to belts, you should always choose a belt that will match your shoes. If you happen to have facial hair, your mustache or beard should always be neatly trimmed. Remove any jewelry from visible piercings and be mindful of your scent. Use deodorant and don’t drown yourself in cologne. When it comes to rules for dressing for success, always try to dress a step up. If the norm at the workplace is to wear denim, go with khaki pants instead. If the norm happens to be sports coats sans a tie, wear a suit but forego the tie. The goal here is to dress a step up on the style ladder, but not too much. This will draw the attention in the office to you, but for a good reason. 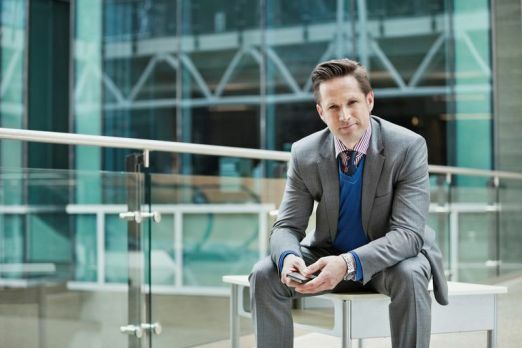 Dressing for success doesn’t have to mean you only do this for work. You can also dress for success in other situations. Take a first date for example. You might have been chatting with the object of your attention for a while and finally get the nerve to ask them out. Now, you need to look the part. This begins with the first layer of clothes you put on your body. You want to choose underwear that holds its shape while being able to stretch. Natural cotton is great for this. Beyond that, dress for what the date entails. If you are just going out for drinks, dress casually. A nice restaurant might call for something like a business casual style, etc. Aside from the style of what you wear, you also need to pay attention to other things – like patterns. Patterns can look amazing on guys, but it is time to get away from things like florals and plaids. 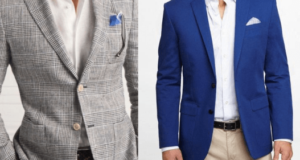 You might still be able to rock your masculinity in those bold floral prints that have colors that are deep and solid but turn away from patterns in the lighter pastel colors. If you want to tone down a floral print, try pairing it with a twill or denim pant. Speaking of colors, greens are big right now. That being said, remember to stay away from the lighter hues. You can pair green with a darker color like watermelon or a nice caramel brown and wear khakis with it. Remember that dressing for success is actually marketing for yourself. Think of the image you want to project and dress to achieve that.